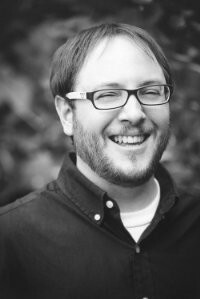 Talbot School of Theology is pleased to announce that author and theologian Kyle Strobel will join the faculty in fall 2014 as an assistant professor of spiritual theology and formation. Strobel, the author of several acclaimed works on Jonathan Edwards, spiritual formation and theology, will teach classes in Talbot’s Institute for Spiritual Formation as well as the school’s Spiritual Formation Focus, which seeks to deepen students’ understanding and experience of spiritual transformation. Strobel’s hiring marks a homecoming to Talbot, where he previously earned two master’s degrees: an M.A. in philosophy of religion and ethics in 2002 and an M.A. in New Testament in 2005. He also holds a Ph.D. in systematic theology from the University of Aberdeen, and has served as a fellow at Yale University’s Jonathan Edwards Center. Strobel is the author of such books as Formed for the Glory of God: Learning from the Spiritual Practices of Jonathan Edwards and the forthcoming Beloved Dust: Drawing Close to God by Discovering the Truth About Yourself, coauthored with Talbot alumnus Jamin Goggin (’03, M.A. ’08). He has also taught at Denver Seminary and at Grand Canyon University, where he has served as an assistant professor of theology since 2012. In addition to his teaching and writing, he serves as director of Metamorpha Ministries, an online community for Christian spiritual formation. “I am incredibly excited to join the faculty at Talbot,” Strobel said. “Biola University as a whole has proven they are committed to providing a world-class Christian education, and Talbot has led the way in many areas, especially in spiritual formation. Learn more about Talbot’s faculty, degree programs and how to apply. For more information, please contact Jenna Bartlo at (562) 777-4061 or jenna.l.bartlo@biola.edu.